After waiting a month I finally got my machine. My wife paid for assembly but after learning it would take them 10 days to get here I decided to put it together myself. It was actually pretty simple and easy to assemble. Let me say this thing is awesome. If you use it you will get in shape. My first attempt at the MAX INTERVAL setting only lasted 6 minutes of the scheduled 14. It will give you a great workout in a short amount of time. It adjust intensity based on your age weight and heart rate. Oh yeah it comes with a heart rate monitor. On my first fitness test I scored 9.8. I have no idea what that number means it just said to compare it to my next test which I plan on doing weekly. Here is an answer provided by a reader. The Fitness Test uses the age and weight values from your user profile to calculate a maximum heart rate, then measures this against your power output to determine a fitness score. In this test, you build up to a Target Burn Rate Range that keeps your heart rate at close to 75% of the calculated maximum. Once your reach this stage, the Burn Rate is maintained for 3 minutes, after which your score is displayed on screen.The idea is that as your fitness level increases, you will require a higher Burn Rate setting to reach the same 75% heart rate level, which results in a higher power output. You can then use this score as a benchmark to measure your improvement over time. On another note I put in for a New Mexico elk tag. If I keep working out on this thing I might just take a knife and run down my elk. I’ve been trying to average 3 workouts per week. 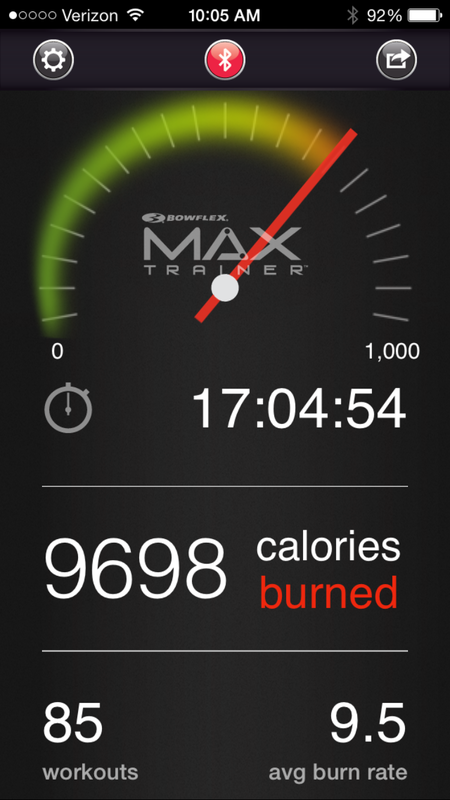 I can now do 20 minutes on the preprogrammed workouts and I can make it the full 14 minutes on the MAX workout. My fitness score is up to 20. Still have no idea if that’s good, bad, or average. It does show improvement over my initial 9.8. I haven’t really lost much weight but my fat percentage has dropped almost 10%. I figure once hunting season starts my workouts will dwindle down to nothing. As predicted I stopped using my bowflex the entire hunting season. I gained 15 pounds and I can only do 10 minutes. I’ve started counting my calories again using my fitness pal. It’s an awesome app I highly recommend it. I’ve already lost 2 pounds. My New Years resolution is to get healthy. It’s painfully obvious that being healthy isn’t something you can do part time. I’m still using my bowflex on and off mostly off. My weight has been like a yo-yo. I lose 50 lbs and gain 30. I’ve got my son working out with me in anticipation of going on an elk hunt. I still haven’t drawn that New Mexico tag yet. 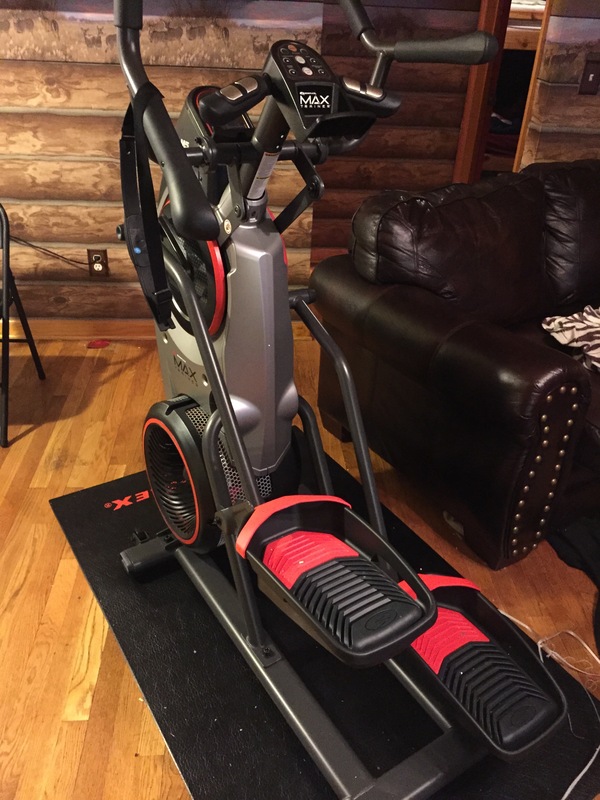 This entry was posted in Exercise and tagged bowflex max m5, interval training. Bookmark the permalink. The Fitness Test uses the age and weight values from your user profile to calculate a maximum heart rate, then measures this against your power output to determine a fitness score. In this test, you build up to a Target Burn Rate Range that keeps your heart rate at close to 75% of the calculated maximum. Once your reach this stage, the Burn Rate is maintained for 3 minutes, after which your score is displayed on screen.The idea is that as your fitness level increases, you will require a higher Burn Rate setting to reach the same 75% heart rate level, which results in a higher power output. You can then use this score as a benchmark to measure your improvement over time.